Tea on the Tyne is run by Emily Slimings, a 27-year-old PR account manager living in a little village just outside of Newcastle upon Tyne. 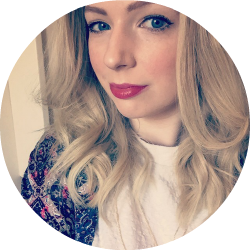 A journalism graduate, Emily pursued a career in PR in the city that she loves and now works for a multi-award winning agency with the best people she could ever wish to meet. She lives with her fiance Andrew (who blogs delicious recipes over at NE Veggie), and their gorgeous fur-babies, Harvey the Pomeranian & Eddie the Dutch lop. Tea on the Tyne is all about what it's like to be vegan in the North East - from vegan-friendly places to eat to the best (and sometimes worst) cruelty-free beauty products around.